Businessman Valery Pshenichny did not kill himself in his cell in a Petersburg remand prison, as the Russian Federal Penitentiary Service has claimed. 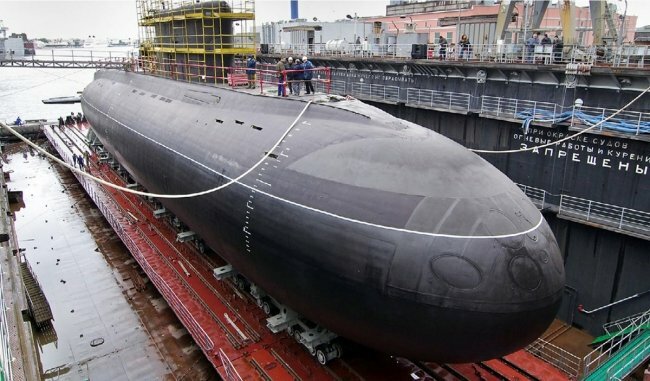 Valery Pshenichny, a defendant in the case of embezzlement at the Defense Ministry in connection with the building of a submarine at the Admiralty Shipyards in Petersburg, did not die from a lack of medical care. He did not take his own life. He was not tormented by abominable living conditions, something the wardens arrange for other inmates. He was simply tortured and then murdered, and his murderers did not even try to hide their tracks. This was the unambiguous verdict reached by the Petersburg Bureau of Forensic Medical Examiners, thus ruling out the possibility of suicide. Novaya Gazeta wrote in February about the businessman’s strange death at Petersburg Remand Prison No. 4. Valery Pshenichny stood accused of embezzling money from a Defense Ministry contract for construction of the submarine Varshavyanka. His company, NovIT Pro, was developing a 3D computer model of the submarine for servicing the craft after it was sold. In 2016, Pshenichny, who owns the company, suspected his partner and company director Andrei Petrov had stolen millions in funds from the firm’s accounts and persuaded police to open a criminal investigation. Petrov was arrested. After several months in police custody, Petrov testified the embezzlers were Pshenichny himself and Gleb Yemelchenkov, a deputy head engineer at Admiralty Shipyards. Allegedly, they had colluded and deliberately overstated the cost of the contract. Investigators determined how much the contract should actually be worth, based on their own calculations. Petrov was released while the new suspects were arrested. Three weeks later, Pshenichny was found hanged in his cell. Before the incident, his cellmates had been removed simultaneously from the cell under various pretexts. The Russian Federal Penitentiary Service insisted Pshenichny had committed suicide, while his loved ones accused prison wardens of not giving him medical care after he had suffered a stroke. The forensic examination was completed last week. Now we can establish what happened. Pshenichny shared a cell with three other inmates. At around two in the afternoon on February 5, 2018, two of the inmates were taken to talk to police investigators, while the third was taken to a meeting with his lawyer. CCTV footage shows Pshenichny was removed from the cell fifteen minutes later. He did not leave the remand prison. We do not know how long he was gone from his cell, where he was during this time, what condition he was in when he returned to his cell, and who was with him. But after four o’clock in the afternoon a guard escorted his cellmate back to the cell and found Pshenichny hanged. An electrical cord torn from a water boiler and the destroyed sneakers of a cellmate lay near his body. Prison wardens explained Pshenichny had tried to slash his wrists with the arch support from the sneakers, but had failed. He then tore the cord from the water boiler, hoping to electrocute himself. Finally, he pulled the lace from his hooded sweatshirt and hanged himself. A graduate of the Leningrad Electrotechnical Institute, Valery Pshenichny was an engineer. He would hardly have attempted to use a 220-volt current to kill himself. The lace from his hooded sweatshirt was forty centimeters long. It would have been impossible to hang himself with this length of lace. And everyone who knew Pshenichny is unanimous. The last thing this strong, cheerful man used to winning would have done was given up and taken his own life. An incitement to suicide investigation was opened. But then rumors flew around the remand prison that all staff members had been made to submit sperm samples for analysis. Cuts and stab wounds were found on Pshenichny’s body. His spine was broken. Simply put, he was tortured. Forensic experts have identified blunt trauma to the neck and asphyxiation as the causes of death. Translated into Russian, this means Pshenichny was strangled with the forty-centimeter-long lace from his own hood. Tests showed it was not remand prison staff who raped him. Most likely, someone from the outside was sicced on Pshenichny to have his way with him. None of the businessman’s intimates can imagine what the cause of this stupid brutality could be. However, before his death, Pshenichny managed to pass a note to his wife in which he asked three times not to give money to anyone. “Don’t pay anyone anything,” he wrote. The work for which, according to investigators, Pshenichny artificially inflated the price, was completely unique. Nobody in the world had done anything like it before. In the future, it could have generated new opportunities not only in shipbuilding, but also for oil and gas companies. NovIT Pro had been negotiating with Gazprom and Rosneft to produce similar designs. Friends dubbed Pshenichny a Russian Elon Musk. The talk was that he was not only a brilliant engineer but also a maverick genius whose risks paid off sooner or later. The student with the tiny suitcase eventually became the owner of a major IT company. NovIT Pro occupies two floors in a building on a corner of the Moika River Embankment and Palace Square in downtown Petersburg, and it has worked on defense procurement orders for many years. Staff say that when investigators arrived to search NovIT Pro’s offices in January, they laughed at first. It was clear this was a fly-by-night firm, they said, joking the place had three desks and one and a half diggers. Then they went down to the floor below and were shocked when they saw a large engineering center. One of Pshenichny’s breathtaking ideas was the selfsame 3D digital model of the submarine. He came up with idea back in 2011 after attending the Naval Salon. NovIT Pro had previously worked on orders from the Defense Ministry for seperate units and parts of ships. But nobody had ever produced a virtual model of an entire ship. Technical specs are attached to each part of the computer model, and mechanics can have access to repair documentation and blueprints wherever the ship is deployed. But it was not this design Pshenichny had planned to patent. As Novaya Gazeta reported, the contract was signed in 2015. But then Pshenichny went even further in his thinking. What if he could make it possible to carry out repairs of the boat remotely as well? 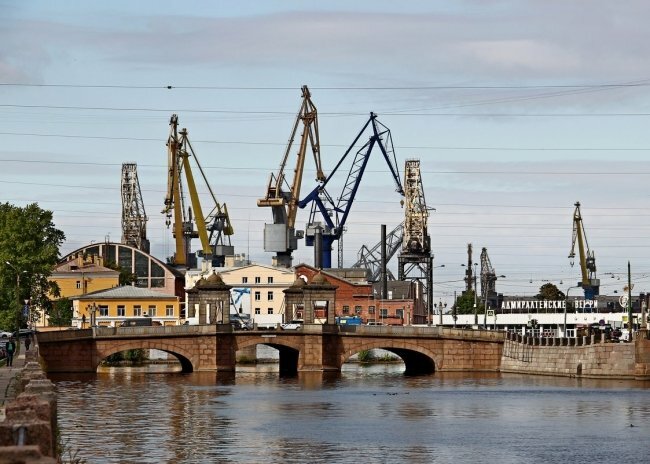 After all, no one knows how far from the shipyards where it was built the submarine will be when it needs servicing, and the specialists capable of doing the repairs all work in Petersburg at the Admiralty Shipyards. The idea of mobile repair centers thus arose. The mobile data center for the Varshavyanka is a room the size of two railway container cars put together. It can be quickly delivered to anywhere the ship is deployed. The technician from the nearest shipyard enters the room and finds himself inside the submarine as it were. He сan produce a cross section of the ship at any point and peer into any compartment of the ship. He communicates in real time with specialists at the Admiralty Shipyards, who see the same picture as he does in the stationary center in Petersburg. This idea had no impact on the cost of the contract. Pshenichny decided to implement it using the funds approved for the contract. He was curious. Pshenichny was planning to patent the idea for the mobile center, but he did not have the time. On January 16, investigators came to search his company and his home, and he was arrested. All documentation, including the documentation needed to apply for the patent, was confiscated and entered into evidence. It is currently in the hands of investigators. Pshenichnaya had suffered a stroke a few years ago. The doctor had told him a second stroke would be his last. Since then, Natalya had been afraid to worry her husband unnecessarily. During the search of their home, his blood pressure jumped to 250 over 140. She begged the investigator to call an ambulance, but he refused. The police asked her only to confirm whether her husband was really in danger of a stroke. Natalya found her husband’s medical records and handed them over to the investigator. Both she and Pshenichny’s lawyer Larisa Fon-Arev say these medical records were not listed in the search inventory. Moreover, during Pschenichny’s custody hearing, the defense asked the court to order house arrest for Pshenichny or release him on his own recognizance, citing the accused man’s health, but it transpired that the medical records, confiscated during the search, had not been entered into evidence. It is unclear what happened to Pshenichny at the remand prison. It is clear he was tortured, that is. A wealthy man who was visited by his lawyer nearly every day was tortured. But then he was killed, and his killers did not even bother to hide their tracks, attempting to get off by making up a lie about his suicide. What did they want from Pshenichny? Perhaps they were trying to extort money from him, because, as we have already mentioned, he wrote to this wife that she should not pay anyone. Maybe they wanted to force Pshenichny to testify, but in that case it is unclear against whom. As Novaya Gazeta has reported, Pshenichny could not have turned on anyone because he was confident the contract was clean, and to this day no new defendants have been named in the embezzlement case. Gleb Yemelchenkov, the deputy chief engineer at the Admiralty Shipyards, was Pshenichny’s co-defendant in the case. Yemelchenkov had no financial authority and could not have unduly influenced the contract. He was arrested and charged in the case only due to Petrov’s testimony: he and Petrov had fallen out over Yemelchenkov’s wife. Yemelchenkov is still jailed in the remand prison. The term of his detention was extended to May.